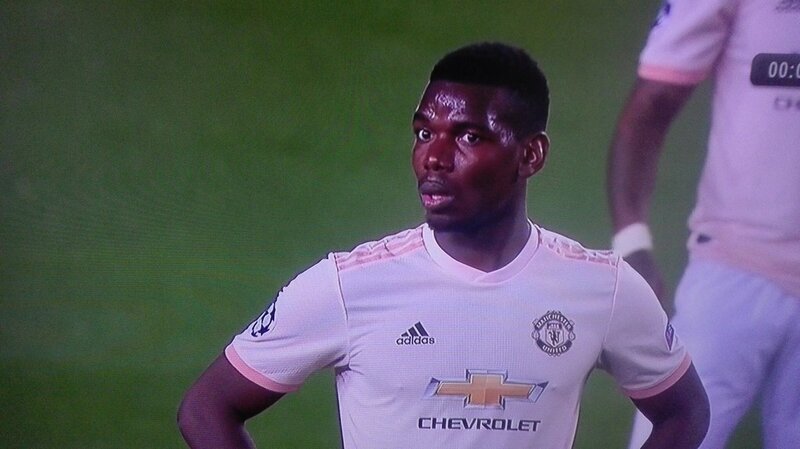 Pogba's reaction during Messi's 1st goal as got fans talking. Gistvic Reports. The match ended in 3-0 as Barcelona wins making Manchester United crash out of the competition after they were completely overcome by Lionel Messi and Barcelona's brilliance. The first two goals were scored by Messi in the 16th and 20th minutes of the match which made Manchester United fans worry as Philippe Coutinho scores an added goal in the 61st minute. Fans are beginning to react to the video of Pogba's reaction during Messi's goal as they added different memes . Gistvic Reports.